On January 12, 2019, about 1115 Pacific standard time, an experimental amateur-built Vans Aircraft Inc., RV8A airplane, N800KE, sustained substantial damage when it impacted terrain while maneuvering to final approach at Whidbey Air Park Airport (W10), Langley, Washington. The private pilot was fatally injured, and the pilot-rated passenger was seriously injured. The airplane was privately owned and operated by the pilot, under the provisions of Title 14 Code of Federal Regulations Part 91, as a personal flight. Visual meteorological conditions prevailed, and no flight plan was filed. The flight originated from Snohomish County Airport (Paine Field) (PAE), Everett, Washington, about 1100 and was destined for W10. According to a witness located at the airport, while the airplane was in a left turn from the base leg to final approach, the airplane's nose dropped, and it rolled to the left; subsequently it entered a steep dive. The airplane came to rest in a heavily wooded area about 2,000 ft north from the approach end of runway 16. The airplane was recovered to a secure facility for future examination. Two plane crashes within 24 hours resulted in the death of a locally known aviator on Whidbey Island and minor injuries to an 87-year-old man in Port Hadlock-Irondale. The first crash killed Marc Drake, 67, of Everett, January 12th. Drake was well known among aviation groups in Port Townsend and Jefferson County and shared memberships with local pilots, said Michael Payne, the director of the Port Townsend Aero Museum. Drake was flying an experimental two-seater aircraft and was approaching the W10-Whidbey Air Park at about 11 a.m. for a luncheon with a flying club when the plane crashed, said South Whidbey Fire and EMS Chief John Beck. A female passenger, whom Beck said was not related to Drake, reportedly was in critical condition at Harborview Medical Center in Seattle. In the second crash, about 2 p.m. January 13th, the pilot of a Beech B-35 crashed on the property line of 681 and 711 Irondale Road, said Bill Beezely, East Jefferson County Fire and Rescue public information officer. He said the 87-year-old man from Snohomish took off from the Jefferson County International Airport before he crash landed into trees. Jefferson County Sheriff’s Sgt. Brett Anglin said the pilot reported a malfunctioning door when he attempted to turn around and lost fuel. Anytime a malfunction happens while flying, a pilot has it do their best to dissipate energy to reduce the impact of the crash, Payne said. According to the Federal Aviation Administration registry, the plane is owned by ABCS Association of Mukilteo. On average, the sheriff’s office handles about one plane crash a year, Anglin said. Both crash investigations were handed over to the National Transportation Safety Board. However, due to the current federal government shutdown, the employees are furloughed and resources are limited to perform investigations. As for the Whidbey Island crash, “We don’t know all the details yet. It is still being investigated by the NTSB,” Beck said. The plane reportedly “took a nose-dive” into a densely wooded area, Beck said, noting the crash could not be seen from the air. Gary Lanthurm of the Jefferson County Pilots Association said the crashes were “troubling” to happen on the same weekend in the local area. Lanthrum said pilots are mandated to have competence screenings by the Federal Aviation Administration every couple of years. Lanthrum encourages all pilots to double-check everything before they take off. He said with nicer weather in the area, some pilots might be a little rusty since the last time they were able to fly. 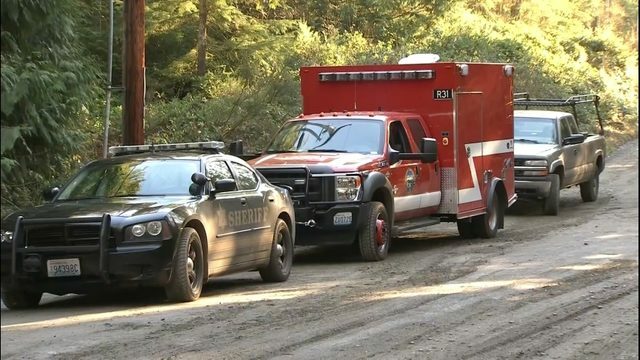 The Island County Coroner's Office has identified the male occupant from the the aircraft crash as 63 year old Marc Drake of Everett Washington. The female from the aircraft crash is still in critical condition at Harbor View Hospital. The aircraft involved is a two seat experimental aircraft, the male occupant of the aircraft was deceased at scene, the female was airlifted to Harbor View Hospital in critical condition. The Federal Aviation Administration and National Transportation Safety Board have been notified and will be assuming the investigation. We would like to thank the South Whidbey Fire District 3 and the Langley Police department for their invaluable assistance. The Sheriff's Office is at the scene of an aircraft crash near the Langley air park. At this time it appears that there was a pilot and one passenger on the aircraft and we have at least one fatality. The Federal Aviation Administration has been notified. This is still and active scene and we will provide updates when they are available. WHIDBEY ISLAND, Wash. – A Van's RV-8A experimental aircraft went down just off the Porter Field runway near Langley Saturday morning, according to South Whidbey Fire. 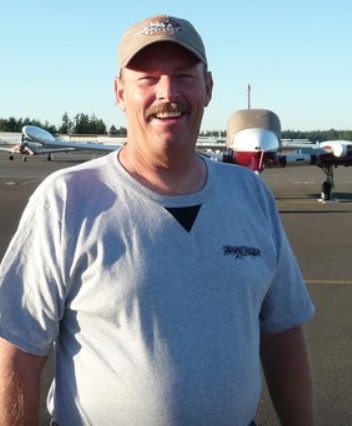 The Island County Sheriff Department has identified the pilot as Marc Drake, 63 of Everett. Locals reported the sound of the crash at 11:16 a.m. Saturday. Crews responded to the scene, finding the plane off the runway in a wooded area. South Whidbey Fire confirms that the pilot of the plane died in the crash and the woman was airlifted to Harborview Medical Center in critical condition. The plane was coming down for a landing when it crashed, according to Jon Gabelein with South Whidbey Fire. Paul Tschetter was working on his property when ambulances pulled up onto his property. He went with first responders to go look for the wreckage and help. First responders said in the 10-foot high brush, they had to use chainsaws and followed the strong smell of aircraft fuel to find the crashed plane. Tschetter said it took them about 20 minutes to find the wreckage. The Federal Aviation Administration issued a 'no fly zone' order within a five-mile radius of the area, Gabelein said. 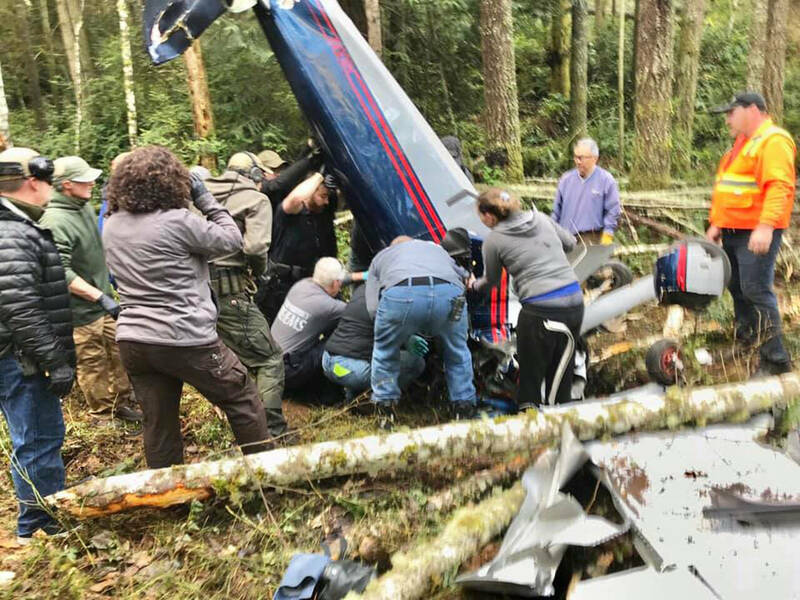 One person was killed and another was seriously injured when a Van's RV-8A experimental aircraft crashed near Langley on Whidbey Island on Saturday morning during a fly-in. According to South Whidbey Fire, the plane went down just off of the Porter Field runway around 11 a.m.
Based on the crash scene, it appears the plane was attempting to land, a spokesperson for South Whidbey Fire told KING 5. There were no distress calls prior to the crash. Witnesses heard the crash and called 911. One witness says he was working nearby nearby when the plane came down. First he saw a group of people and then a police vehicle drove through his property. "We all charged out into the woods to find the plane," he said. It took about 15 to 20 minutes to find it in the heavily wooded area. 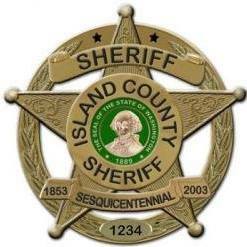 A plane crash at Whidbey Airpark in Langley Saturday morning has resulted in at least one fatality, according to a statement from the Island County Sheriff’s Office. The male occupant of a Van's RV-8A experimental aircraft was found deceased at the scene and a woman was airlifted to Harborview Medical Center in critical condition, according to the statement. The Island County Coroner’s Office has identified the man as 63-year-old Marc Drake of Everett. As of 6:45 p.m. Saturday night, the woman was still in critical condition. At 11:16 a.m. on January 12th, personnel from South Whidbey Fire/EMS, the sheriff’s office and Langley Police Department responded to an aircraft down just off the Porter Field runway. Unsure of the exact crash site, fire officials asked another plane to circle above to help them find the location, according to a report from South Whidbey Fire. Responders had to use chainsaws and other tools to navigate the heavy brush that reached over 10 feet high in areas. Members of the Holmes Harbor Rod and Gun Club helped clear the path. The strong smell of the aircraft’s fuel helped guide the team to the site, the report states. There was no fire at the scene. 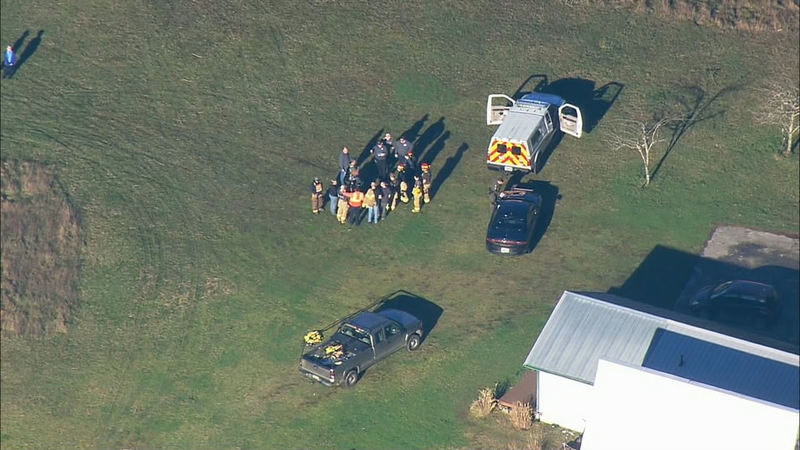 The crew removed the severely-injured woman onto a manual transport cart and carried her to a helicopter. The Federal Aviation Administration and National Transportation Safety Board have been notified. National Transportation Safety Board will conduct the investigation into the cause of the crash. 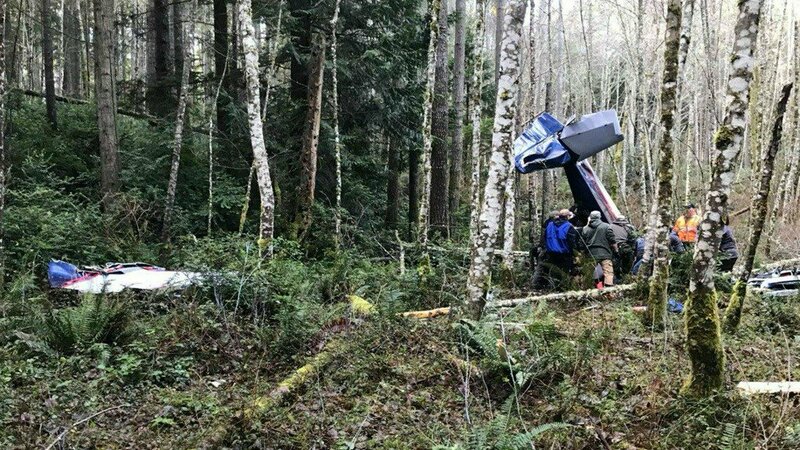 A Van's RV-8A experimental aircraft crashed near Langley on Whidbey Island on Saturday morning, killing one passenger and injuring another. The passenger who died, a man, was the pilot. The passenger who survived the crash, a woman, was airlifted to Harborview Medical Center in critical condition. At 11:18 a.m. this morning, people reported hearing a crash near Porter Field. The aircraft crashed in the trees near the runway. Based on the location, authorities believe it was attempting to land. Most likely got distracted during landing, got too slow and stalled/spun it into the ground. Low and Slow can Kill! Stall/Spin.. Sad, The 87 Year old shouldn't be Flying either - Sorry. No, I won't say a word about RV-x Aircraft. See all the Accidents there are?? Crazy! I'm kinda sad to see all the fatal accidents in Kathryn's report... I'm a Older Rusty Pilot and this really makes ME stop and think every time I fly to FLY as SAFE as possible. I am not a pilot but an aviation enthusiast. Does qualifying an airplane as "experimental"bring up the notion that these airplanes are any less airworthy than factory built airplanes? I really wonder if it boils down to a similar argument about guns and their use thereof. No gun is capable of killing anyone or anything by itself. It requires an agent (a human agent) at that to fire the gun. The majority of responsible gun owners try to be as safe as they can be and have proper training and a learned skill set to be able to handle a gun properly. So any airplane factory built or built by a private individual can kill an individual but I think most aviation people (or pilots) desire to live as long as possible so they will develop the proper skill sets and training needed to be a safety conscious pilot. When at the Line Up and Wait I reflect back on the Kathryn's Report and immediately continue to always put safety FIRST. The alarming stats on aviation deaths in the United States saddens me. Is our complacency killing us? Iron Jack said... I'm kinda sad to see all the fatal accidents in Kathryn's report... I'm a Older Rusty Pilot and this really makes ME stop and think every time I fly to FLY as SAFE as possible.